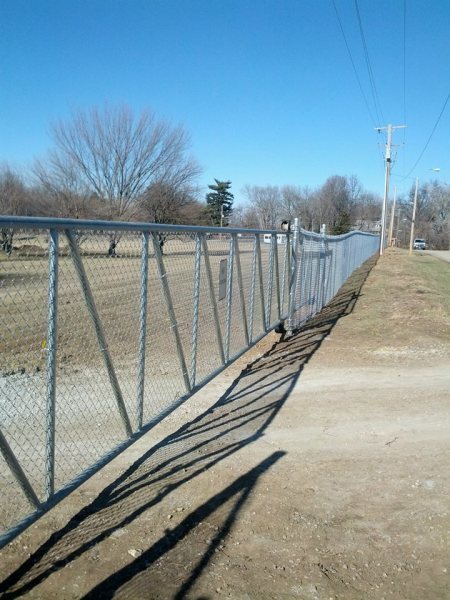 Here at Rhodes Fence we are proud of our accomplishments and consider ourselves masters of the trade. Take a moment to look over a few pictures and let the ideas flow. When your done browsing feel free to call for an estimate. We will be more than happy to answer any questions you may have. 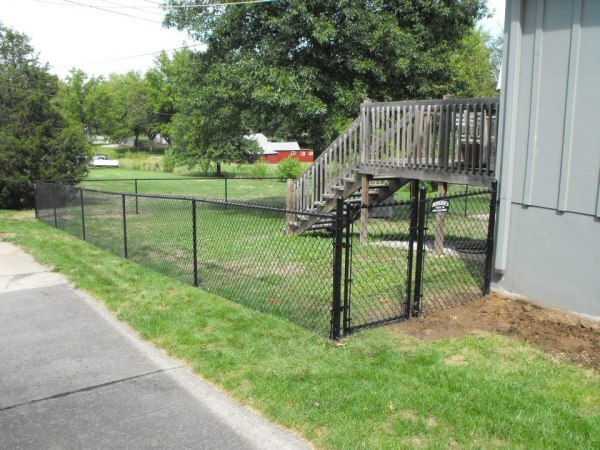 A good fence is a nice addition to any patio area. 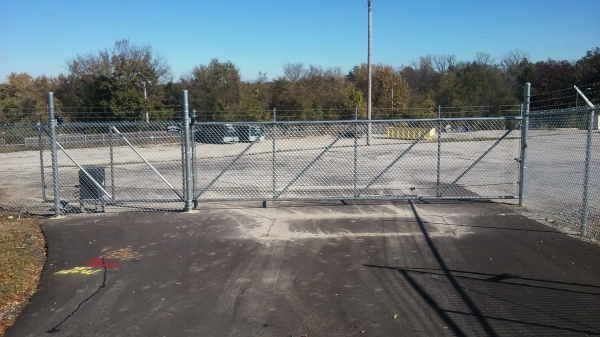 This is a black chain link fence. We use fuse bonded wire with a 9 gauge core. (the good stuff). The post and top rail are powder coated for a durable finish. We build our own industrial roll gates in house so they are a perfect fit every time. Get those a/c units or pool pumps out of sight with a custom enclosure. Cedar split rail is a nice way to mark property lines. 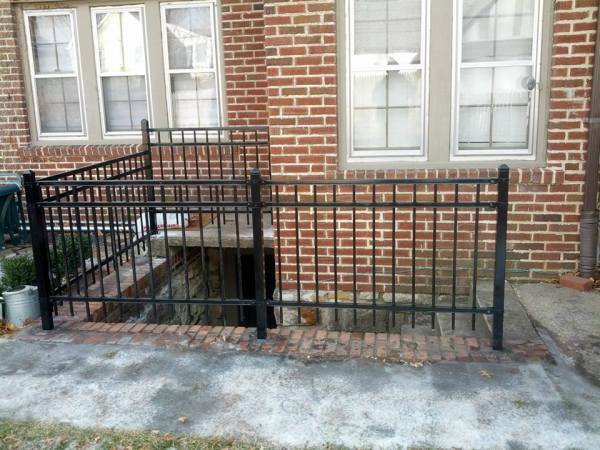 Fence off those dangerous stair ways and window wells. 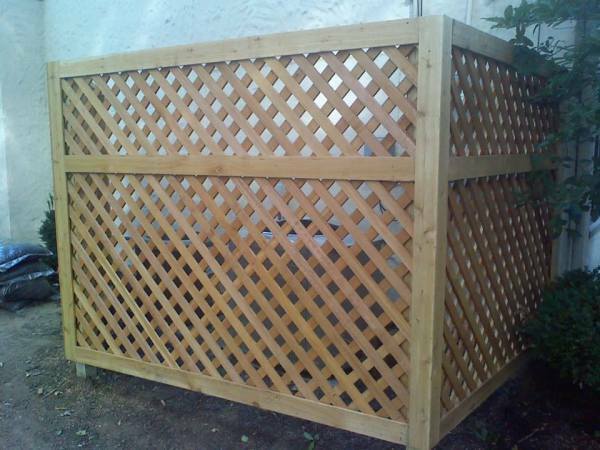 This is a 6' cedar picture frame fence with a 10" decorative border. 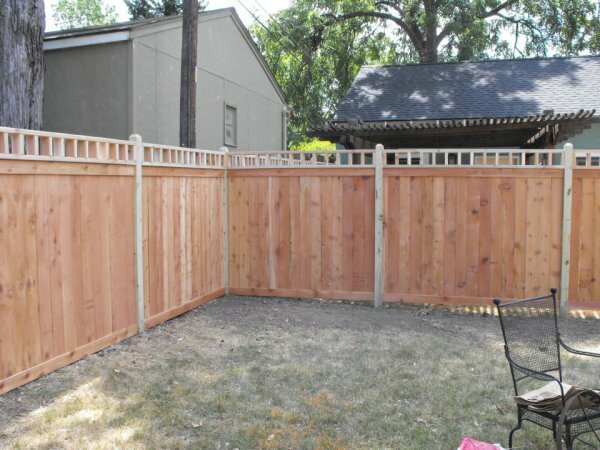 This is a 6' cedar shadow box fence with a double drive gate. 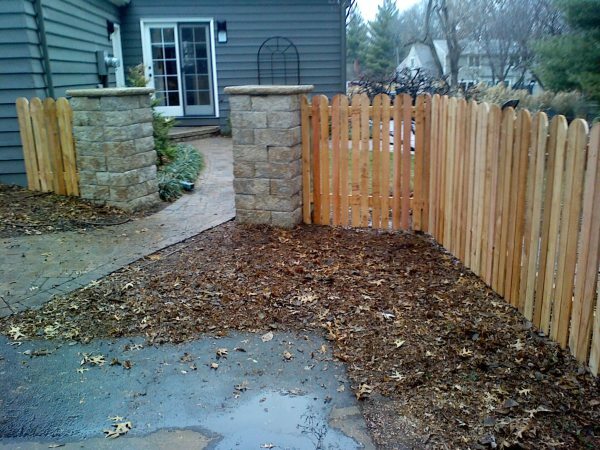 6' Cedar privacy fence with arched gate. Here's a 6' cedar picture frame fence with louvered pickets and Berkley Top post. 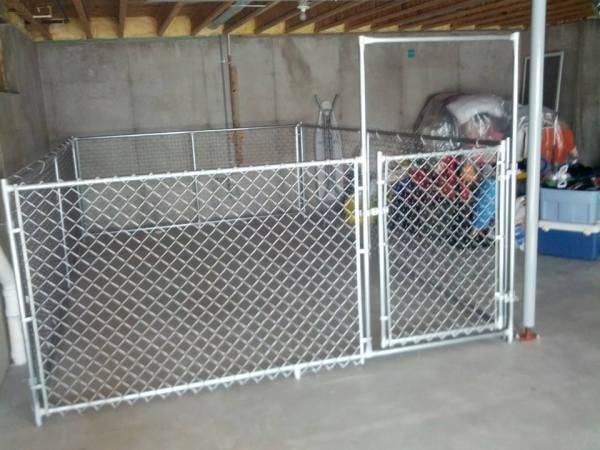 Here is an indoor kennel we built for a customer who wanted a warm place for his pups in the winter. Commercial gate and operator complete with safety loops, key pads, and free exit loop. We can core drill holes in concrete for a clean,solid post set without destroying your slab. For more photos please hit on the facebook button below to view a complete listing of are photos.